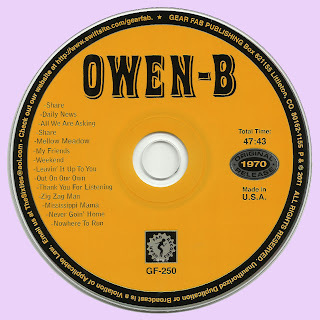 Owen-B started as a band called "The Wildlife" in the Mansfield, Ohio area. They were one of several garage bands from central Ohio that formed around the time close to the end of the first British invasion (1964-1966). Members in the original group included Bob Ross (bass), Charlie Barker (drums), Terry VanAuker (lead guitar), and John Kinkle (rhythm guitar). John Kinkle left the band shortly after formation to attend college and was replaced by Tom Zinser. Bob Ross and Charlie Barker had played together in an earlier band called "The Amboy Dukes" (no relation to the nationally known band of the same name). Terry VanAuker was from an earlier group called "The Collegiates" and Tom Zinser came from a group called Tommy Z And The Sleepers. The group also added Louie Basso as front man and lead singer. After less than a year of playing together in 1967, the group was signed to Columbia Records, but Columbia executives insisted the band drop Louie Basso as a contract contingency. He was replaced with Jim Krause, a former member of Tommy Z And The Sleepers. The band had one notable release called "This Is What I Was Made For" written by P.F. Sloan. The song achieved some regional success and charted #15 on the Columbus, Ohio radio station WCOL. After two more releases, the band left the Columbia label. In late 1969. Tom wrote "Mississippi Mama", a simple straight ahead rock and roll tune that the band decided to produce and record on their own dime, and then try to market it to a label. Wes Farrell, a fairly well known New York producer, offered to buy it and put it out on Janus Records. It reached #81 on the Cashbox chart in March of 1970. 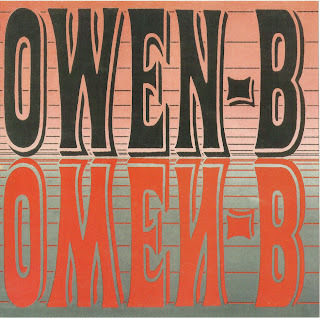 The follow up single "Never Goin'Home" also reached #1 locally and was even championed by Billboard magazine which stated "With the feel and flavor of the Credence Oearwater Revival hits, Owen-B should soon find himself high on the charts with this compelling and infectious rhythm outing. First rate performance and material combine to make this a sure hit". Despite this flirtation with major success, certain members of the band wished to pursue a more personal approach by releasing an album of originals. This lead to Bob Ross leaving the band. He was not replaced and Tom Zinser moved from Rhythm guitar to bass. Shortly before Ross left the band, Charlie Barker decided to go back to school to avoid the draft and was replaced by Bobby Tousignant (Avery), who had played drums for the Ohio based group The Music Explosion. 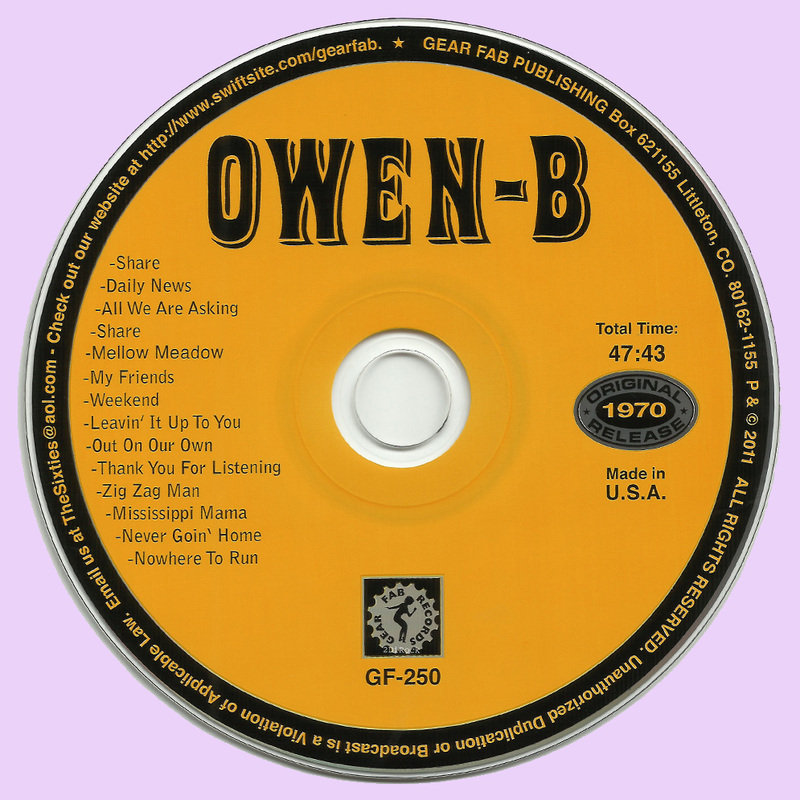 It is at this point where the band personnel were as it appears on the Owen B album, which was recorded in Mid-1970. 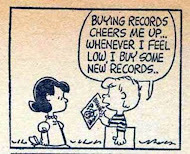 Wonderful music! You're the greatest. Thanks a lot! Otra referencia maravillosa del sello Gear Fab en este no menos maravilloso blog. Esta página es grande amigo. Muchas gracias. Thank you very much. This album is one of the reasons why I keep on dowloading some 10 seventies rock 'lost gems' a week (it seems that it never ends...) just to delete maybe 7 of them after listening once. 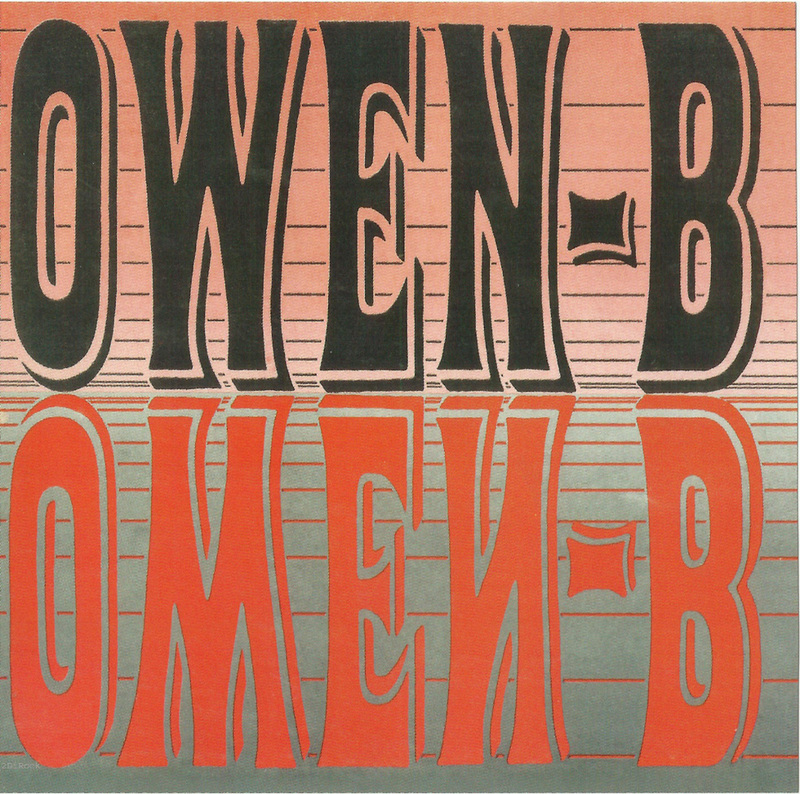 The three left I file as 'worth listening', and once in a while, ther shows up an album like this one, from Owen B, that I file as 'Discovery'. Thanks for making this stuff available. Saw these guys at an OSU club on my 21st birthday. They were great! My dad was Charlie Barker. I was born in 66' so i only have a few bits and pieces that i recall. This information was such a wonderful thing to stumble on. He passed away in 1997 at 51. He loved music until the the very end and i know wherever he is he's still playing!! Rock on Dad! !